Abingdon Air and Country Show 2008 was an important display for Peter Wells. 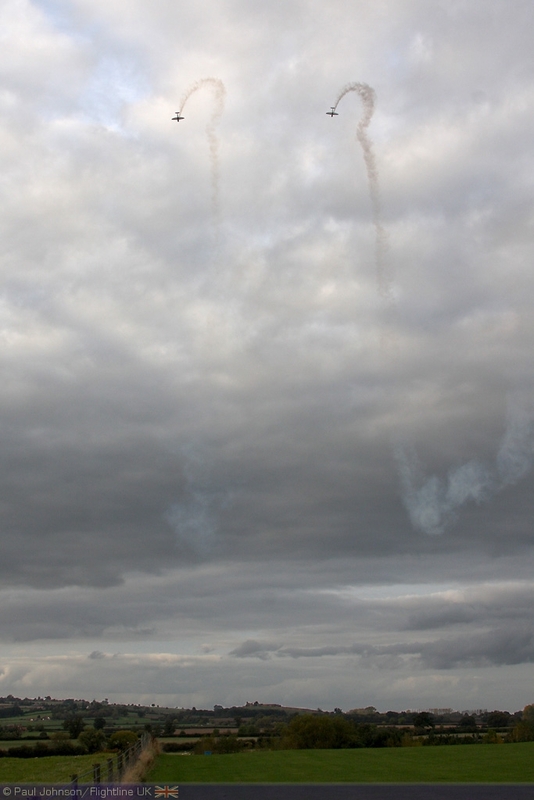 Not many people had heard of the little Silence Twister before the show, but everyone was surprised by the great performance Peter put on under somewhat gloomy clouds, but what did Peter take away from his first few displays? "Coming from a gliding background I am very comfortable being close to the ground, having spent many hours gliding, sometimes only a few feet from mountain-sides ‘rock-polishing’, so being low over an airfield or the sea was a lot less stressful than you might think. In spite of this, how ever much you practice it's always different doing it for real! 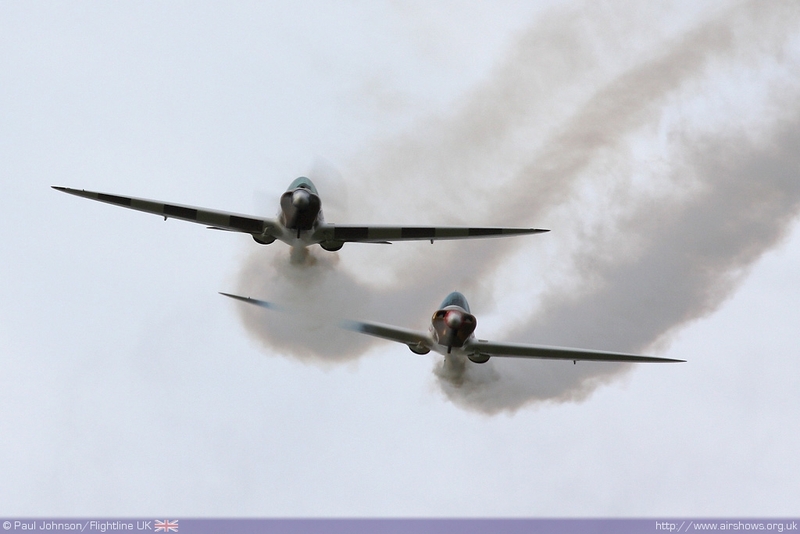 I find the build up to a display a bit stressful, but when the smoke goes on, it's over before I know it." 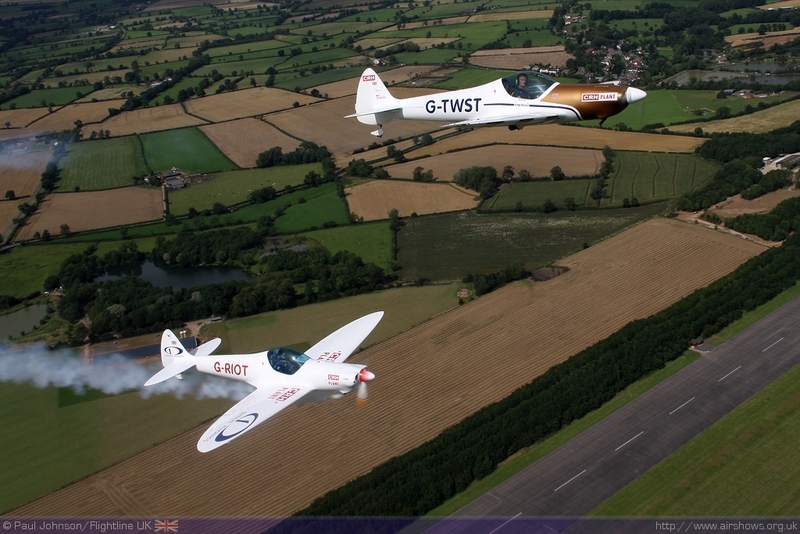 It was also at Abingdon that Peter first met Guy Westgate and the Swift Aerobatic Display Team. 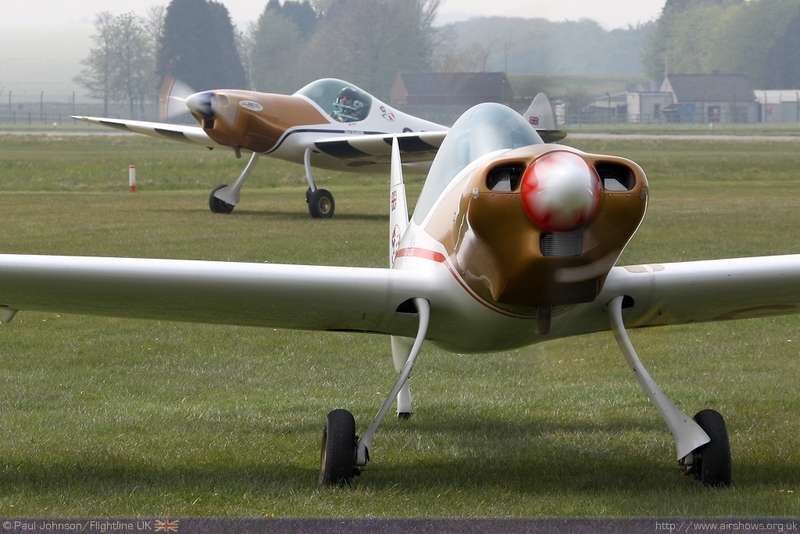 Guy was looking to develop his display team and the Twister seemed to be the perfect companion to that of the glider. 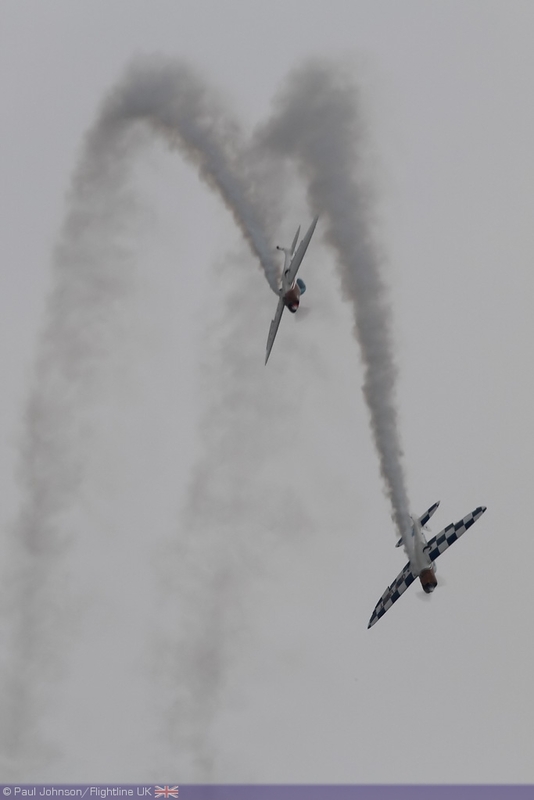 The new "combination display" was debuted later that year at the RNAS Yeovilton International Air Day in brighter, but very gusty conditions. The Twister was an instant hit with the team and airshow audiences alike, as it looked superb, was able to keep the display close to the crowd and made plenty of pretty smoke trails. 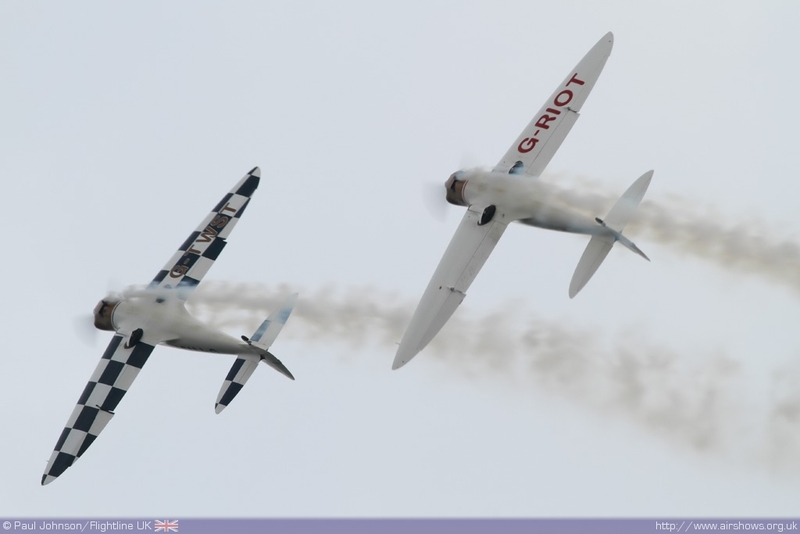 "Amongst my Favourite solo displays would be the Shuttleworth Collection or the Freidrichshafen’s Aero Show in Germany," Peter enthuses, "With the Swift team, the big Seaside ones stand out. Windermere 2009 was also a personal favorite as despite terrible weather, I think we did a great job!" 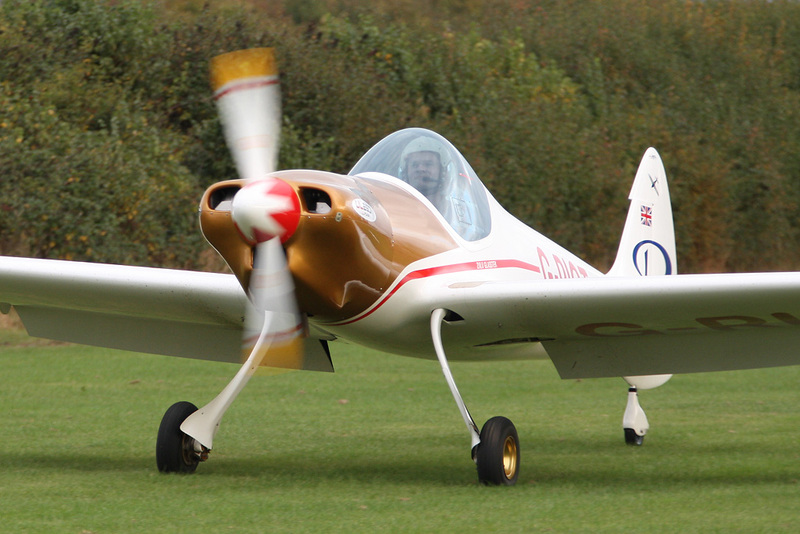 The Twister started life as a world beating radio controlled aerobatic machine simply known as the Twister. It had been developed by Matthias and Thomas Strieker in Germany and was so successful that they decided to build a "real" version of the model. 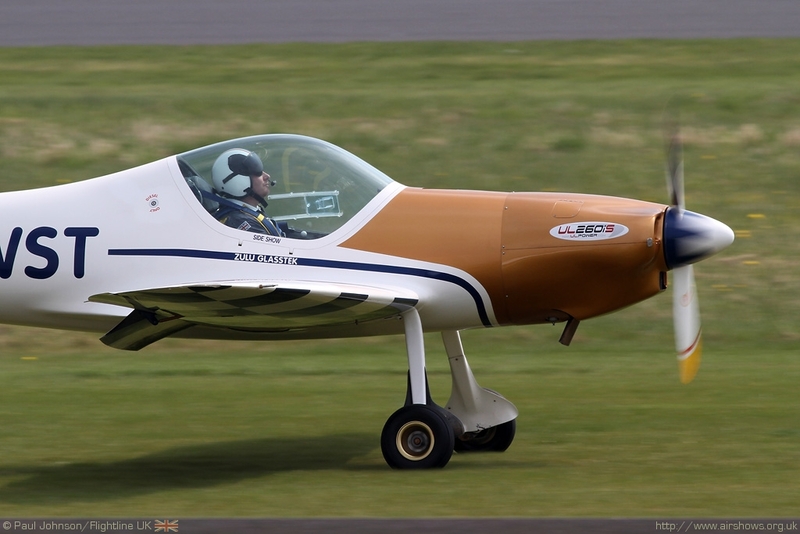 Peter first saw the Silence SA180 Twister at the Aero Airshow at Friedrichshafen in Germany; "I was looking at scratch building a composite single seat aerobatic aircraft - a modern day Formier RF4 . I went to the Aero and some-one had already done it! It ticked all the boxes and exceeded my expectations in that it looked incredible with its Spitfire like wing. The only downside was the powerplant, as the advanced airframe technology had vastly overtaken the Jabiru engine design." After two successful years with the Swift Team, Peter is now introducing a new display team to the circuit. 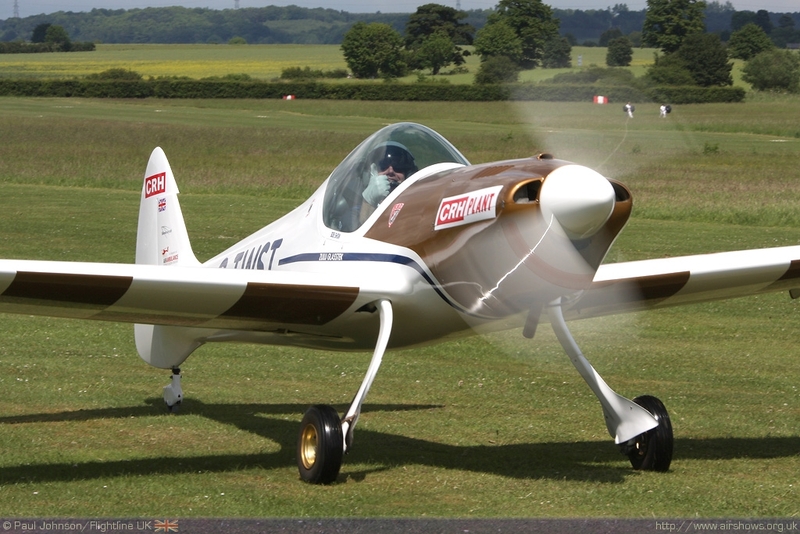 While the Twister will continue to support the Swift team, The Twister Duo will showcase the aircraft in it's own display; "I have always wanted to do airshows and originally started the Twister build project with the intension of displaying with James "Spud" Hallum. He also built an early Twister but sadly the joint display never happened. 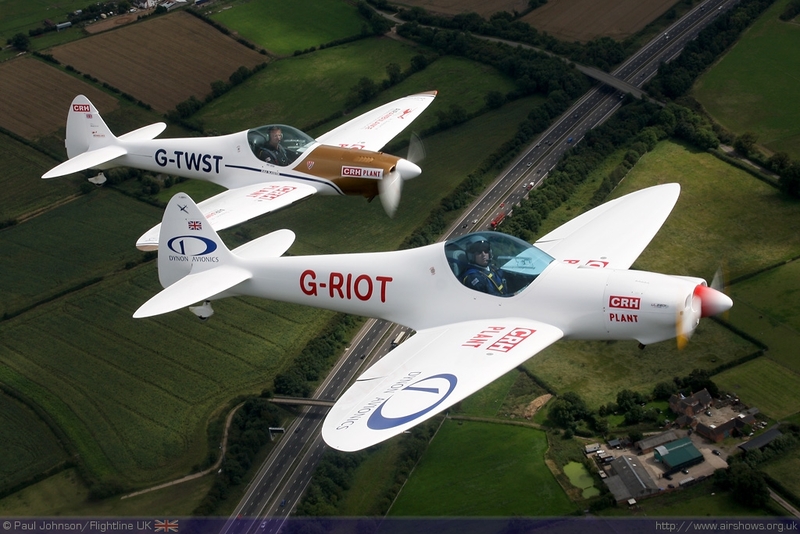 As no-one else capable owned a plane I built G-RIOT to fly alongside my original plane, G-TWST." Of course, as well as the second aeroplane, Peter also needed to find another couple of pilots to form the Duo. 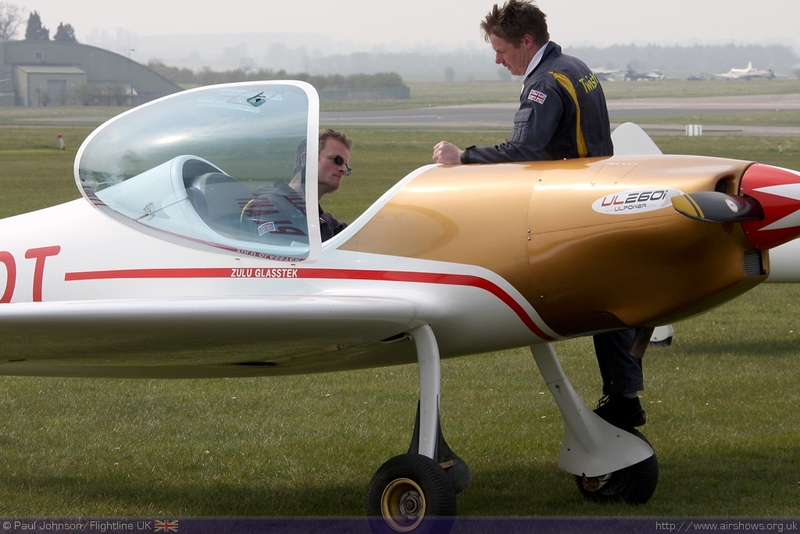 "Finding good pilots to fly in the team was made quite easy as I have worked with Guy in Team Swift. 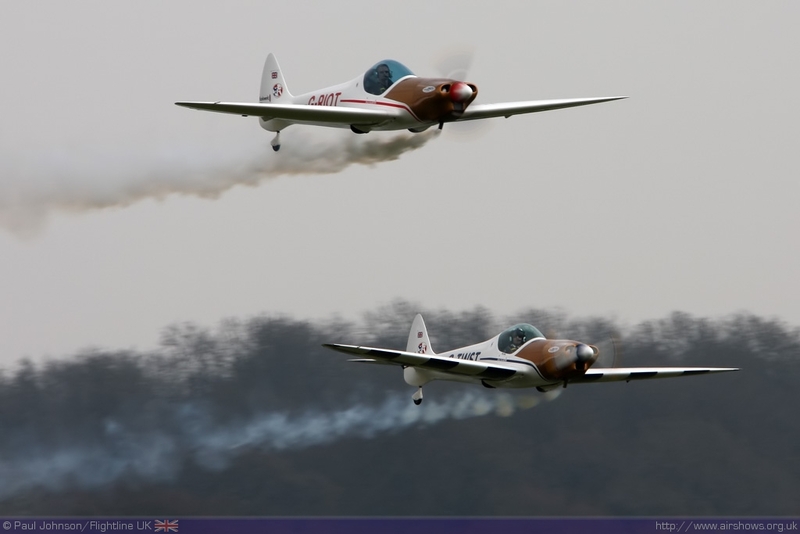 Andy Preece was also on the display circuit with the RAF Tutor at the same time and was keen to continue display flying after his tenure of displaying the Tutor came to an end." 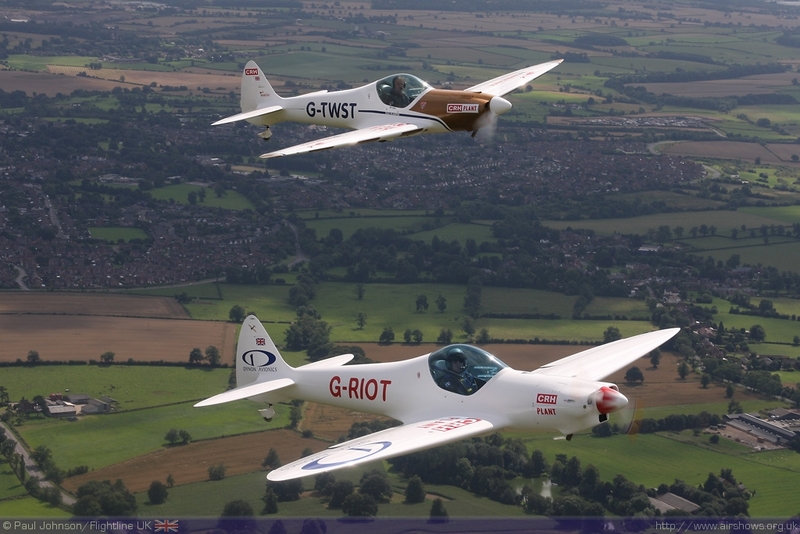 As well as new pilots, the design of the aircraft has been refined and Peter's second Twister, G-RIOT, was been significantly modified and improved. The original Jabiru engine was proving to be the limiting factor on the aircraft and Peter looked at other engine manufacturers for a suitable replacement. 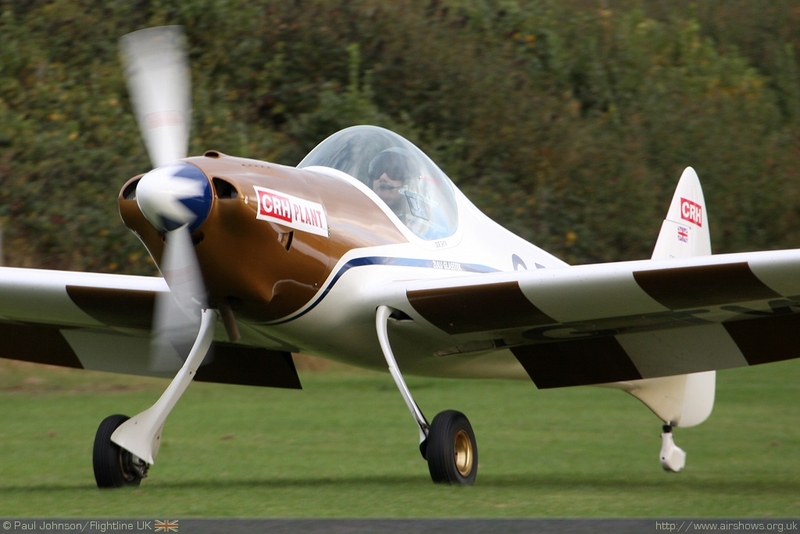 UL Power had brought out the UL260i engine and Peter was instrumental in getting a high compression, fully aerobatic version developed for the Twister - the UL260iSA. As well as the engine, Peter further enhanced the cockpit and avionics over the original as well as several airframe design tweaks. With the aircraft and pilots in place, the next step was to look at the display design. 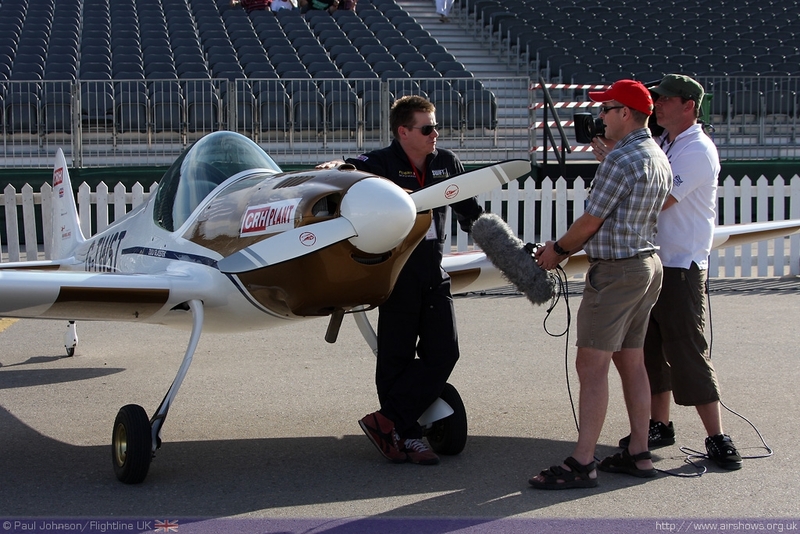 "I started by asking the people who hire airshow acts what they wanted. 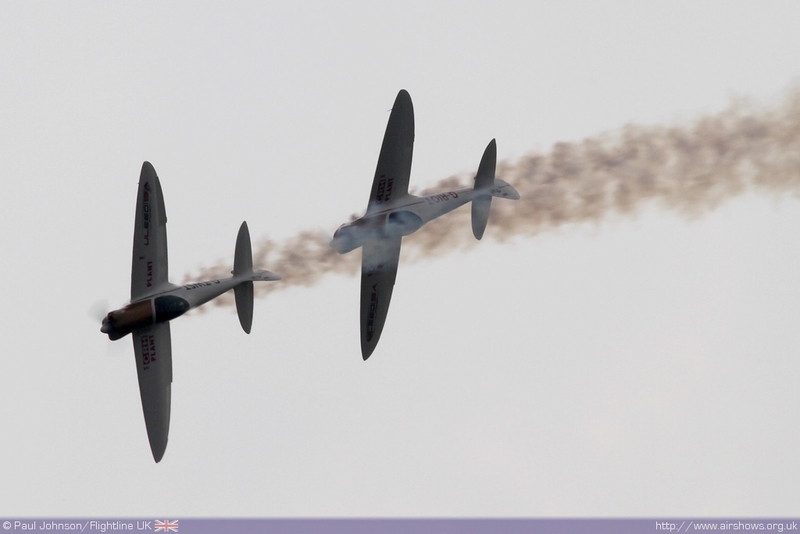 The answer was a synchronized display, flown low and close enough to engage with the crowd. We started designing our routine around this." 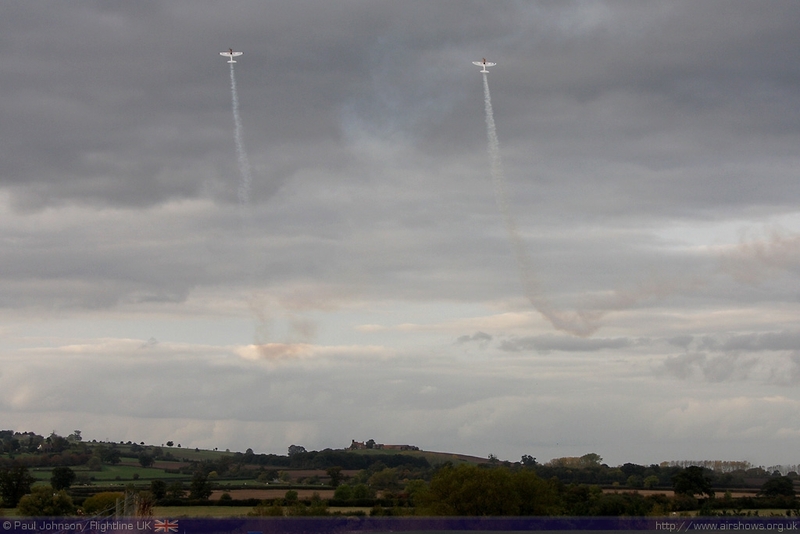 Towards the end of the 2009 display season, Peter, Andy and Guy started to put together aerobatic figures to work out the best routine format. 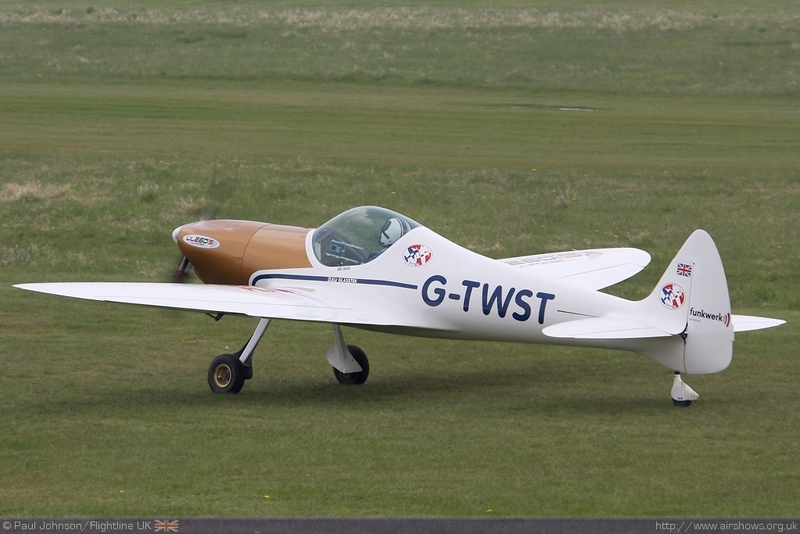 There was a hiatus over much of the winter; not only was the weather poor, but Peter' original Twister, G-TWST, was being rebuilt to the same specification as G-RIOT with the new UL260iSA engine and avionics. Practice started again in the Spring, but getting the team on the display organisers "radar" was another important issue for Pete. "I sent out press releases and we have had limited success from those. 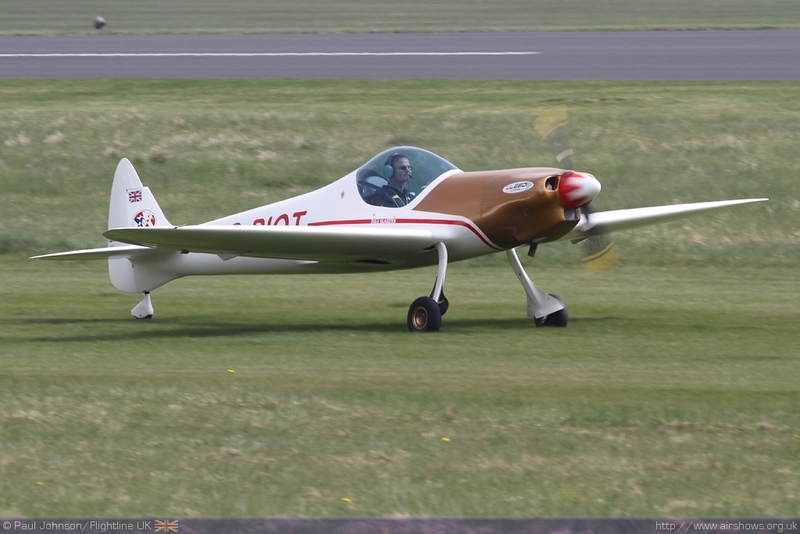 We also managed to attract the attention of a few aviation magaines like LOOP, The Light Aircraft Association Magazine as well an internet broadcast on LOOP TV which have all have helped. My association with Team Swift has been a double-edged sword: On one hand it has helped gain exposure, as people know who I am and what I do. 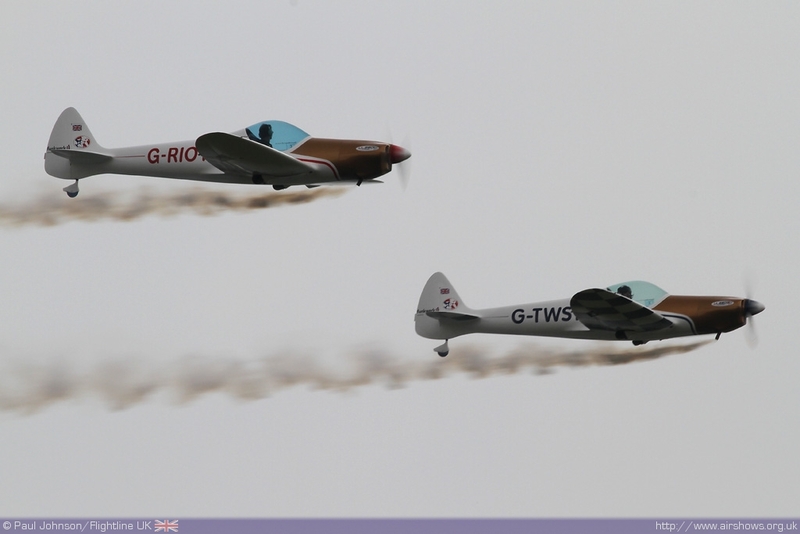 But on the other hand because the Twister is still supporting the Swift Team, some organisers haven't realised we were offering an entirely new independent display team." 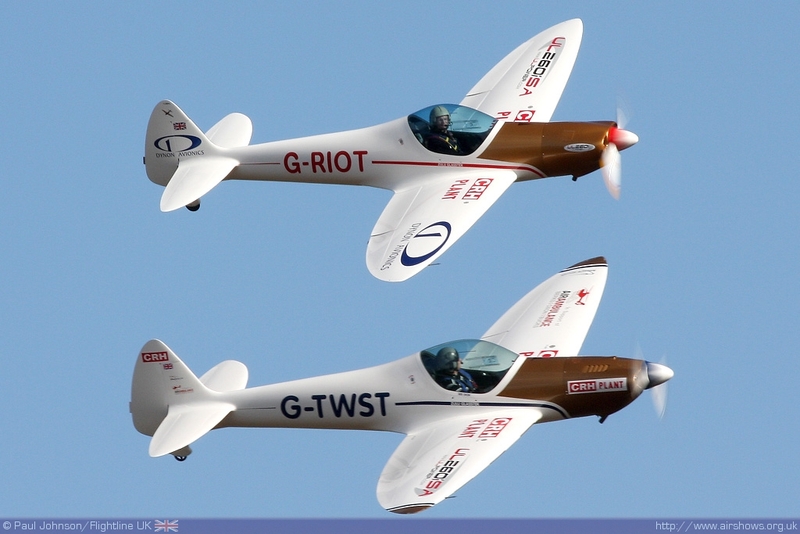 The Twister Duo are just one of a number of new teams that will be appearing on the display circuit. 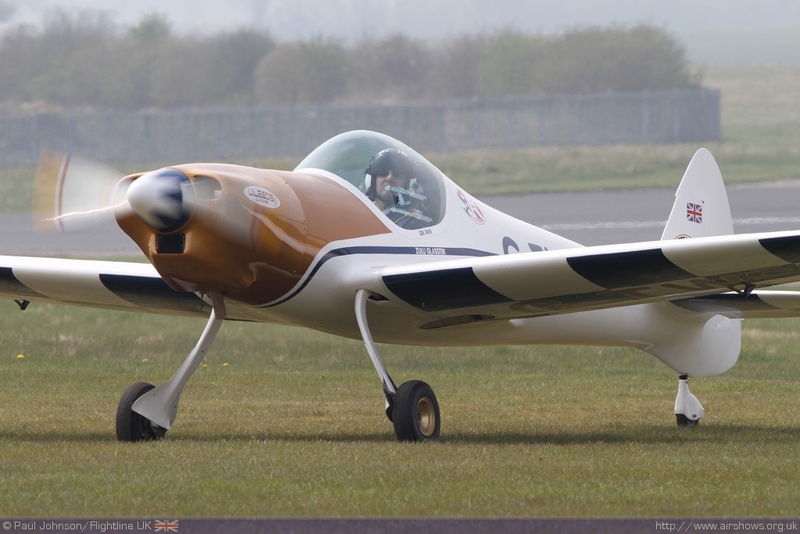 Richard Grace and Dave Pulleston will be flying a pair of Pitts Specials as the "Pitts Pair" and Bob Grimstead is bringing together a pair of Fournier RF4s. The Twisters performance sits roughly between the others so how does Peter view the competition if there is any? "Competition is a good thing and I'm sure all three acts will be good displays. 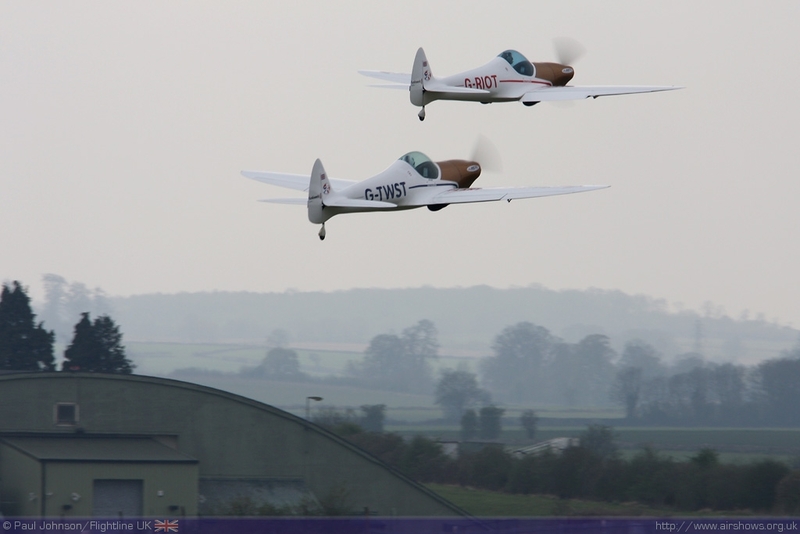 I watched the Pitts Pair practice at Lasham and now they are painted in black and yellow they look the part. 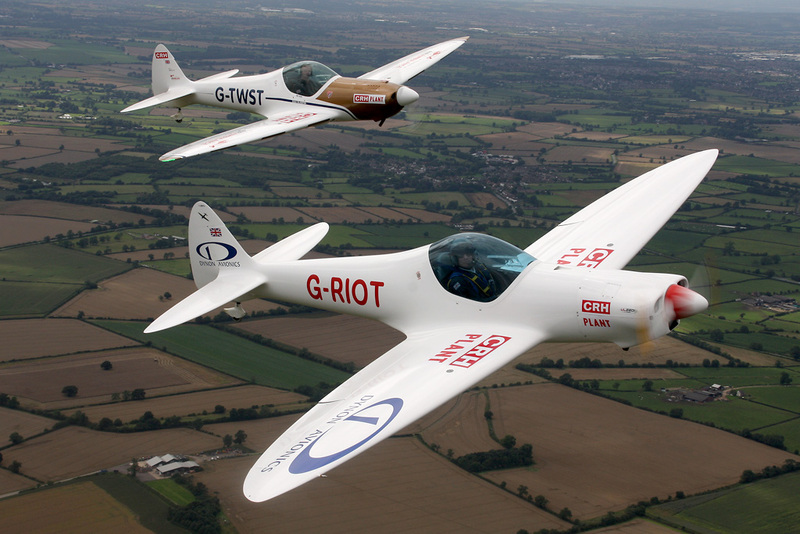 The RF4s will be more of a competition for Team Swift I suspect as their display will be much more akin to a sailplane display and they have far more versatility." 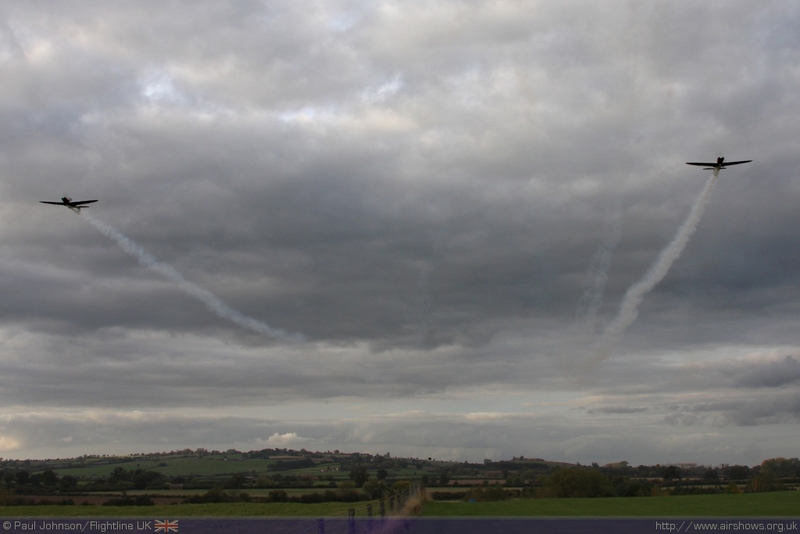 As these words were written, the team had just returned from their 'debut' display. It was far from a simple task taking place 2800Nm away from home in the former Soviet state of Turkmenistan. The Twister Duo's display was part of a lavish inauguration of a new airport and Tourism spot near Turkmenbashi on the Caspian Sea coast. The epic adventure is just the start of a busy season of displays for Peter and the new team; "it's probably one of the most adventurous projects I have ever undertaken, I was excited about the trip, but I was really looking forward to Dover on our return!" 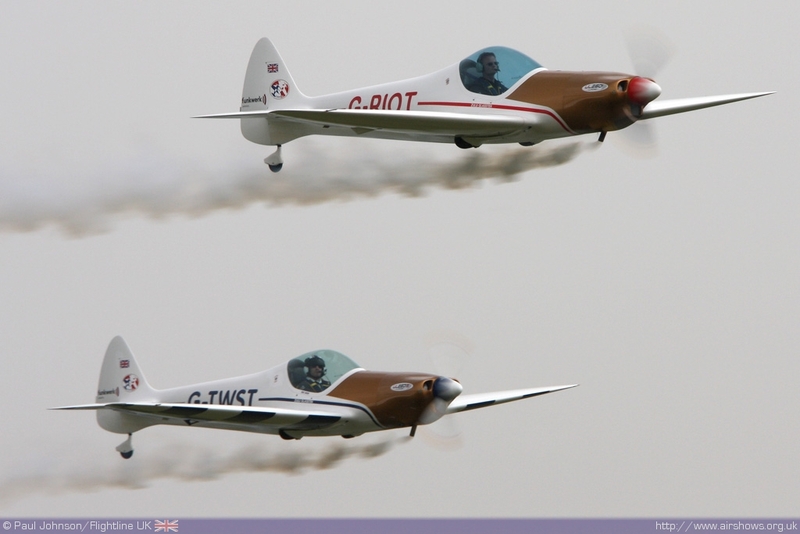 The Twister Duo have a busy season of displays in the UK and Europe. 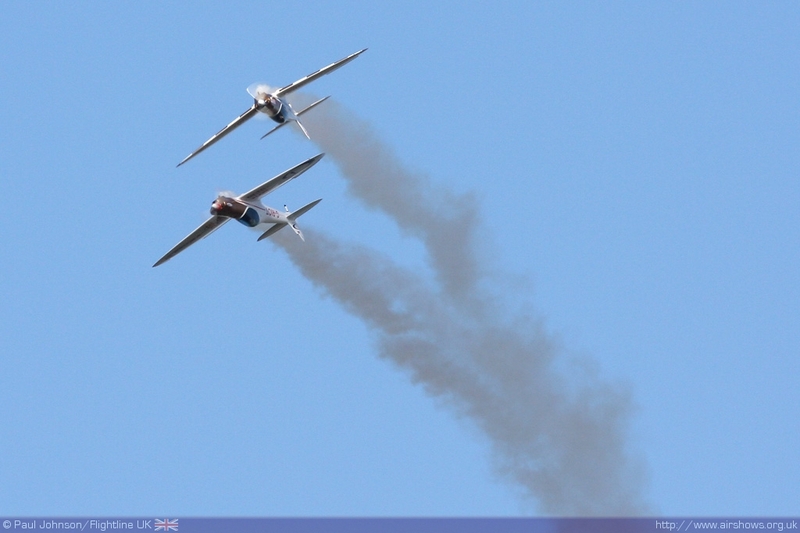 The team's website (http://www.twisterduo.com) contains the latest display schedule as well as a frequently updated blog with the latest news from the team.